Built back in 1908, this family-run hotel is one of the oldest in Wengen and offers simple, traditional accommodation that’s perfect for skiers on a budget. You can’t miss the Bernerhof’s chalet-style exterior, with its cheery red shutters. Inside, the theme continues into the rooms, which have a fuss-free design and wooden furniture. They may not be five-star luxury, but the comfy beds will ensure you’re well rested for the next day’s skiing. As well as the main building, there’s also the residence annexe, 20m away. You’ll take your half board meals in the Restaurant Taverne, in the main building. Continental buffet breakfasts will fuel you up for the day, and 4-course dinners full of good home cooking will greet you on your return. If you fancy a change, you can swap one evening meal for a bubbling pot of the Swiss staple – fondue. Or you can choose to eat à la carte in the Pizzeria Pajazzo, in the residence building, which offers Italian favourites – try the house pizza with tomatoes, bacon, onions and Swiss cheeses, followed by an indulgent chocolate pizza. Unless you’re eating or sleeping, you’ll likely be out on the slopes – and the Bernerhof is in an excellent location. It’s just 2 minutes’ walk to the Männlichen cable car, so you could be one of the first on the mountain. 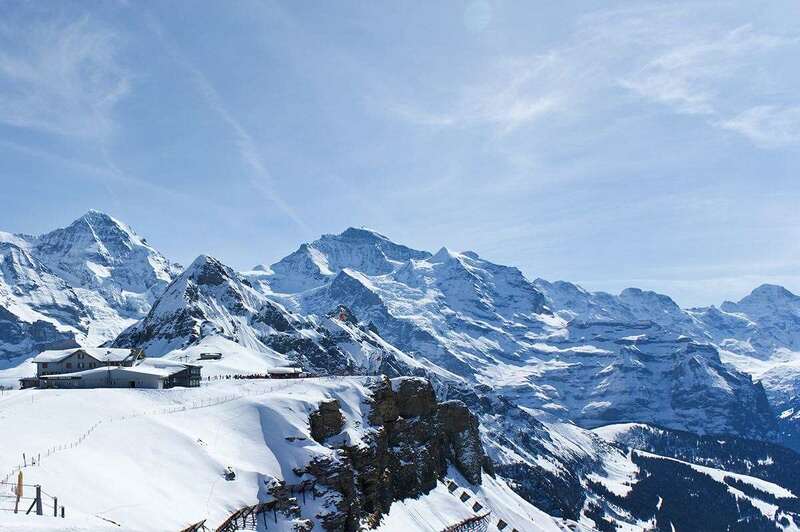 The hotel is on the main Dorfstrasse, so it’s also close to the restaurants and shops of Wengen, and just a 4-minute walk to the train station. Twin and single rooms have a cable TV and hairdryer. Twin or double room - sleeps 2: twin or double beds, private shower and WC. Twin room - sleeps 2-3: twin beds, single folding bed, private shower and WC. Double room - sleeps 2-3: double bed, single folding bed private shower and WC. Twin room - sleeps 2-3: bunkbeds and shared bathroom facilities. Please note: rooms may be allocated in the annexe building next door, 20 metres from the main hotel building. This was a great deal and very pleased with the hotel. Staff very attentive and good choice of meals. Hotel situated only 2 mins away from the main lift so easy to get to. The village is very traditional and quiet! Ski area is excellent and the pistes are wide and well maintained. We probably had the best of the snow and weather this season!! Would recommend the hotel and area to friends. The room was basic, clean and all that was required for a ski trip. Breakfast cintinental style, 3 breads, ham, salami, 1 cheese, egg, tomatoes and a selrction of jams. A small choice of evening meals always provides a pleasant and adequate meal to follow a days skiing. The salad bar was resonable, but always the same selection. Choosing the evening meal at breakfast time is not ideal but acceptable. Ski and boot storage is in the basement boiler room. The temperature is generally good, but drying boots after slushy conditions may be difficult. The staff were pleasant and available at meal times and if called by the reception bell. Unfortunately there is no sauna to ease aching muscles. The sun terrace is pleasant is warm, but there is no residents lounge. The snow conditions were good for my weeks skiing, with the lower slopes a bit soft in the afternoon in the second part of the week. Overall a very enjoyable weeks ski, well facilitated by the hotels situation and facilities.